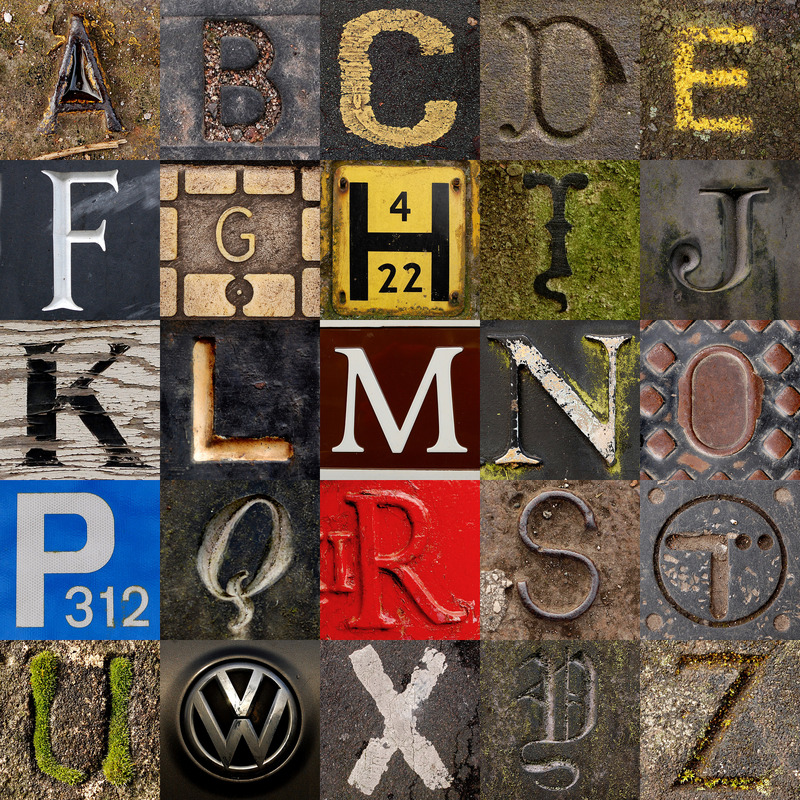 ‘A’ is for alphabet, ‘G’ is for …? Google’s choice of ‘Alphabet‘ as its new company’s name has generated much buzz in the news. Well, the choice is more than logical – if there is anything more familiar to people on this planet than Google, it is alphabet that represents language. My today’s post is about some of my favourite games that involve the English alphabet and can be played to fill in the time before the bell rings, or when you’d like to focus on a particular skill, grammar or vocabulary, or when you just want to ‘wake ‘em up’ a bit. They are all highly engaging and very easy to arrange. You won’t need to make or print out any extra materials (unless you decide so). It’s a great game which helps students remember how to spell tricky words. Assign a letter (including the hyphen for compound words and the apostrophe if you plan to give phrases), or a few letters if you have a small group of students, to each student in your class (players). Ask your students to imagine they’re typewriter keys, or keyboard keys – for learners born with a cell phone in their pocket. Their task is to type the words by clapping their hands. For example, you say the word ‘key’. To type it, the player with ‘K’ claps his/her hands, then the one with the letter ‘E’, and finally the player with the letter ‘Y’. If your students are not familiar with the game, I’d suggest starting with students’ clapping their hands and saying the name of the letter aloud. Challenge them to ‘type’ as fast as possible. Gradually, you can move to the next level and ask students to ‘type’ phrases or even sentences. You can also split your students into two teams and have a ‘typing’ race. The team that ‘types’ the word (or phrase) faster, gets one point. The team with more points wins. Students recite alphabet silently, the Curious Cat says ‘STOP’ and points randomly at a player. The player tells which letter he/she stopped at. ‘Who?’ – Captain Cook. – ‘Where?’ – Congo. ‘With whom?’ – Caitleen. ‘Where from?’ Cairo. ‘When?’ – Christmas night. Every time a player cannot give an answer, the Cat gets one point. The game stops after the Cat gets three points. Who?’ – Captain Cook. – ‘Where did Captain Cook go?’ – He went to Congo. ‘With whom did he go to Congo?’ – With Caitleen/He went there with Caitleen. ‘Where was Caitleen from?’ – She was from Cairo. ‘When did Captain Cook and Caitleen go to Congo?’ – They went to Congo on Christmas night. Ask your students to write a short story (espresso story) using the answers they gave. E.g. Captain Cook and Caitleen were sure nothing Congo wrong on Christmas night. Ask your students to imagine being stranded on a desert island. They can have what they list in alphabetical order. Player 1 says, ‘antiseptic’, player 2 says, ‘bread’, player 3 says ‘citrus’ and so on (one player keeps record of the items mentioned) until players get a letter that they can’t think of any word for. In this case, the players should cross out one item from the list. How many items have they got after the first round? Are they ready for the second round? Get students to write down the alphabet and write an answer to the question ‘What happened?’ (or ‘What do they do every day?’, or ‘What are they doing now?’, or ‘What had they done before Bob came?’ etc. depending on the tense you’d like your students to practise) with the subject and predicate (verb and verb phrase) starting with each letter of the alphabet. A – Anna allowed the dog in. B – Bob bought a stolen i-phone. C – Cecil called off her wedding. With a small tweak, this game can also be used to practise speaking. After the students have written their sentences (as many as they managed), get them to read out their sentences one by one, one letter per student. Tell your students they can win immunity by showing interest (you may find this post handy) and asking a question. Only one question per player may be asked (otherwise, things will go messy). The right of the first question belongs to the player who has to read the next sentence. If the player doesn’t need immunity, he or she says ‘SKIP’ and any other player may show interest and ask a question. With immunity, players can skip this or that letter for which they do not have a sentence. If you love word games, you may find this WORD GAMES post useful. Please leave me a comment if you know an interesting alphabet game that goes well in your classroom. Thank you for stopping by and happy new academic year!